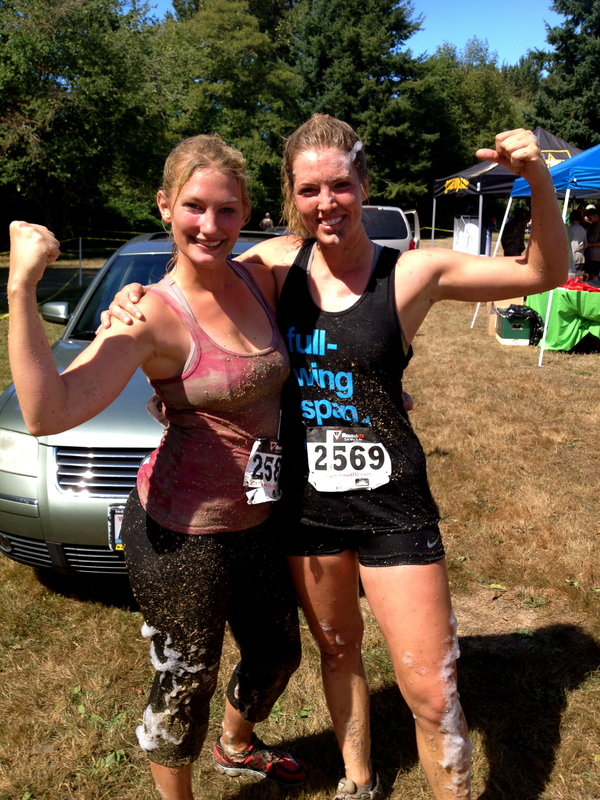 Last week I found myself vending at the Muds to Suds mud run in Ferndale, WA. If you're not familiar with the concept of a mud run it mostly consists of a race riddled with obstacles- namely, pits of mud, ice, hay or dirty water. I've been doing a lot of running lately, but nothing that could be deemed 'training' for a race like this. Luckily, the whole concept of a mud run is just to have fun, and I was more than excited to get a little break from work to hop in a heat and run the race! I was supposed to run in the last heat of the day, but at about noon on the second day of racing Alicia surprised me by showing up spur of the moment, ready to run. Thankfully, I have a very flexible boss and he let me take a two hour break from work to quickly hop in the same heat as Alicia at the last second. The race was only a bit over two miles, but with all the obstacles and varied terrain (like grass and sand on the river bank) it was much more exhausting than I had anticipated. Alicia took off full speed and I was determined to not let anyone get in between us during the race. Both of us hit the first mud pit, dove in head first, fully submerged, and came up with a face and mouth full of mud- ready for more! Along with multiple more mud pits there was also tires to jump through, haystacks to run over, a boxcar full of suds to navigate, and a set of about five walls to hurdle over. Alicia and I pushed ourselves hard throughout the entire race and ended up placing as the first and second ladies in our heat; a welcome finish for two girls who decided to run this race not more than fifteen minutes before our heat started! There was definitely carnage along the way- Alicia fell in the tire maze and got a pretty good gouge in her hand and hip, and I got my feet tangled in a forested spider web right before the finish line and took a not-so-graceful face dive to the ground. These things, combined with the massive bruises we had fun finding randomly scattered over our bodies afterward only added to the thrill of the race. To finish off the day we enjoyed a free beer in the sunny beer garden after fulfilling every ladies dream of getting hosed off by a fireman. 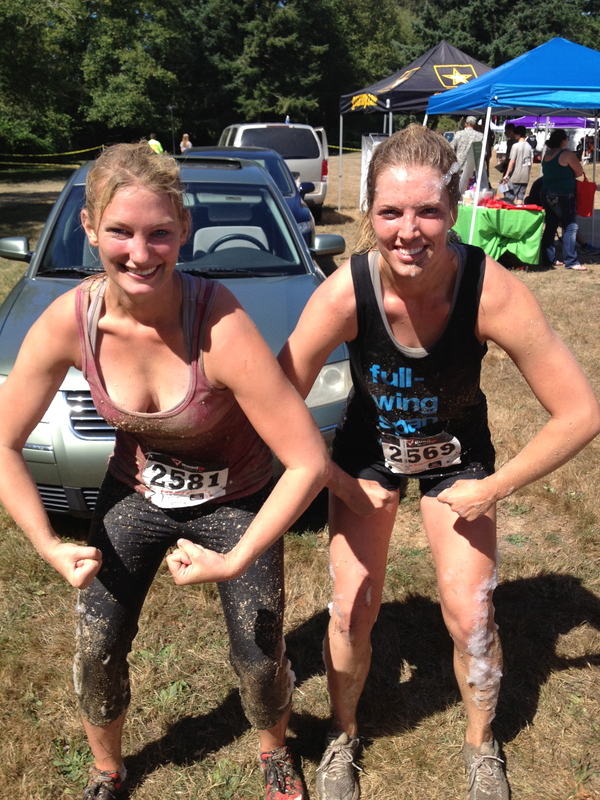 Turns out mud runs are even more fun than we had expected, and I can't wait to train harder and get out and run another!